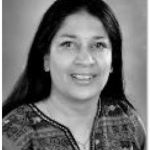 Nirupama has 28 years of experience, primarily in market research, along with short stints in computer education and advertising. She stumbled upon the world of qualitative research and in a moment of epiphany realised that life had been preparing her for this all along: an itinerant upbringing across several cities and schools, an exposure to different cultures and languages and degrees in journalism, mass communication and management . It is also the only profession that pays one to speak and listen. She is a specialist in Qualitative research and has worked on creating proprietary protocols along with key clients. Her special areas of interest are Behaviour Change, trends , NPD and using technology to power insights . She is a trained workshop facilitator and has conducted numerous workshops and ideation sessions. What she loves the most is telling a good story or hearing a good story.